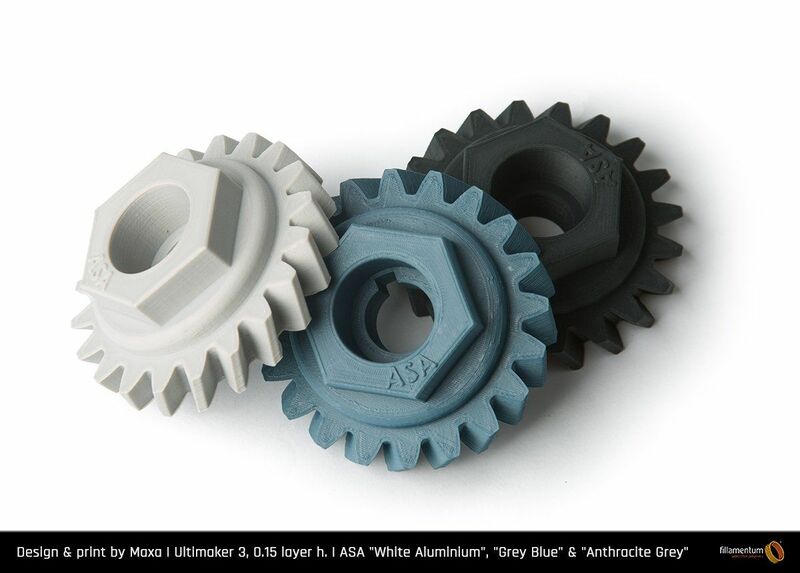 ASA has a rigidity higher than ABS, low levels of yellowing, perfect for outdoor use. Excellent colour stability. You will earn 26 loyalty points with this purchase worth £0.26 that you can use on this order. 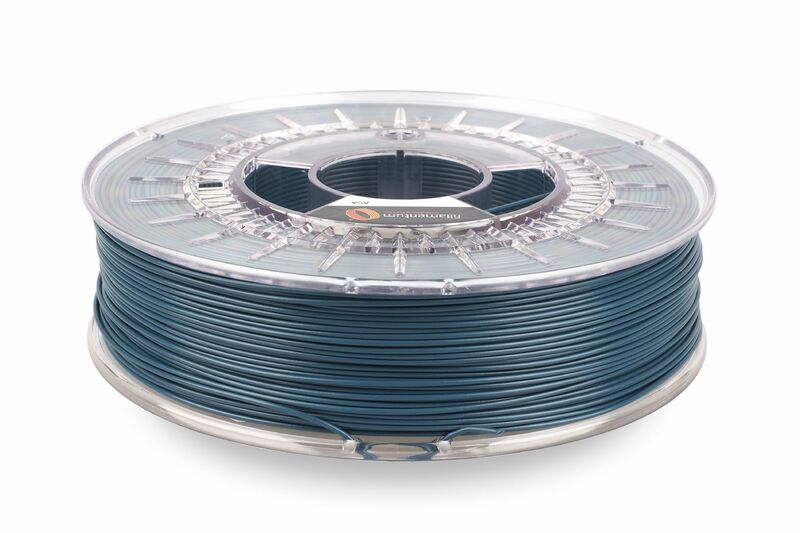 ASA 3D Printer Filament is a polymer which is ideal for the production of the first functional samples before serial production for functional prototyping, manufacturing tools, but also for the production of goods for everyday usage including outdoor applications. The advantage of this material is its excellent weather resistance, retention of physical features; eg. 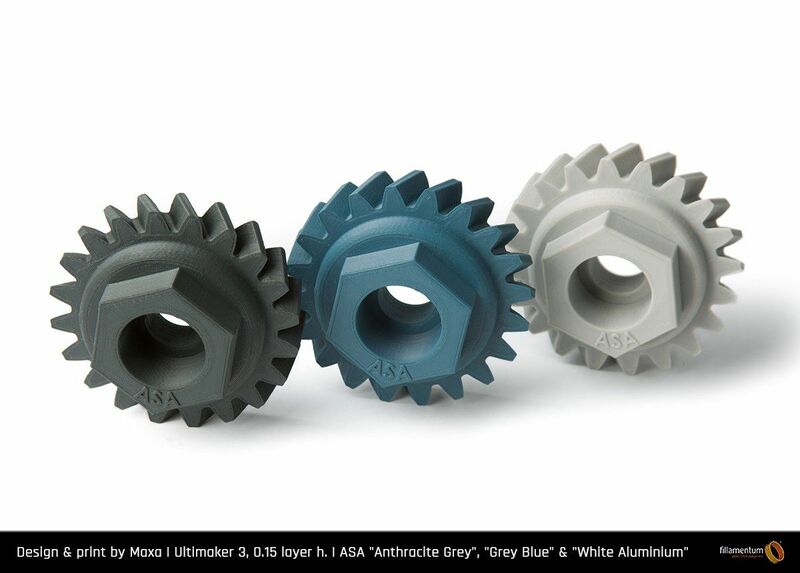 ASA has a rigidity higher than ABS and thus is suitable material for demanding applications. ASA material has low levels of yellowing, which is very important for applications where long-term emphasis is placed on appearance. Another advantage is its good dimensional stability. 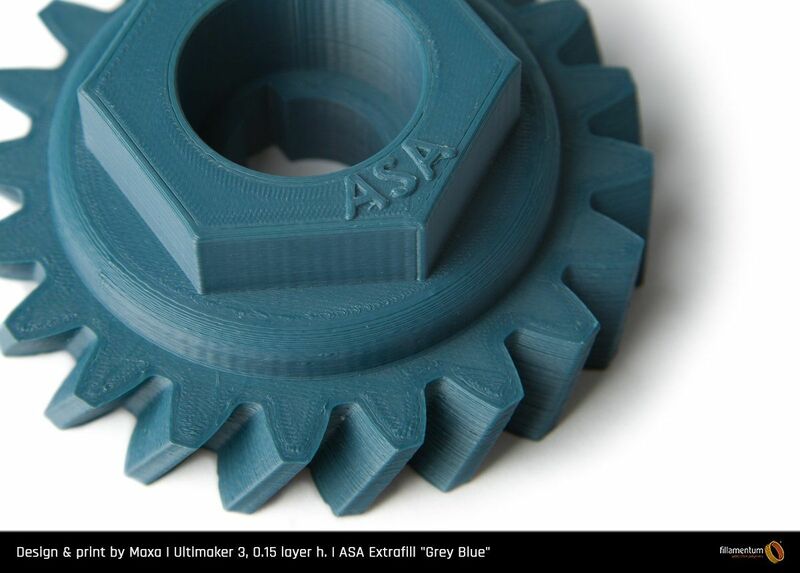 Fillamentum does not take any responsibility for the usage of Extrafill ASA by the processor.